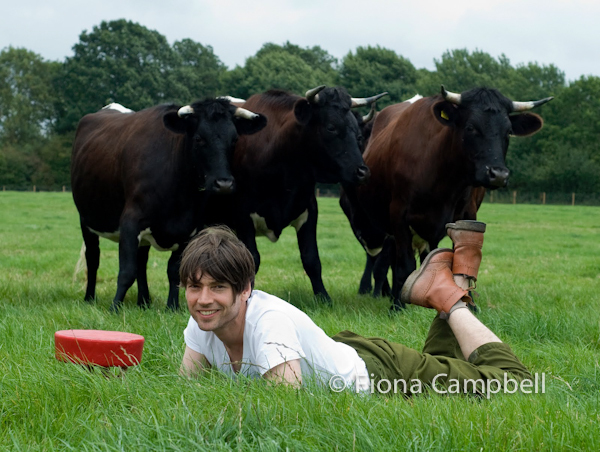 Alex James with ‘Muldoon’s Picnic’ cheese. Please note this image is the copyright of the author, Fiona Campbell and may not be used without permission. This week was spent editing images from the British Cheese Awards. Comissioned by Alex James (musician and cheese maker) Craig Hunt and I arrived at Alex’s farm in the Cotswolds with the daunting task of photographing 900 varieties of British cheeses entered for the British Cheese Awards over two days. Particular thanks goes to our able assistants Rory and Max and to Juliet Harbutt, the doyen of the cheese world for accommodating us on this ambitious project. Will keep you posted on the record breaking catalogue of British cheeses. 90 remain to be photographed. Here’s a link to a slideshow of a very small selection of the cheeses.